Chef Matthew Batey, ignited his culinary spark at a young age while watching his father cook at home. As a budding chef, Matthew completed an apprenticeship at the Fairmont Empress Hotel and was promptly recruited by Chef Michael Noble to open what was soon to be awarded Canada’s best restaurant of 2002, Catch. After his tenure at Catch, Batey joined the celebrated kitchens of Vancouver’s highly acclaimed Chef Bruno Marti. As a result, Chef Batey has initiated a third generation of mentorship in the culinary domain, thus creating a new band of kitchen talent under his legacy. The Terrace Restaurant at Mission Hill Family Estate Winery was where Matthew’s passion for showcasing regional cuisine in the Northwest was fully expressed. As a fervent supporter of local farms and sustainable food practices such as OceanWise, Matthew relied heavily on the bounty of the area to create memorable dining experiences in the Okanagan Valley. His championing of these programs resulted in The Terrace Restaurant being named one of the “Top 5 Winery Restaurants on the Planet.” (Travel & Leisure Magazine) This accolade cemented Mission Hill’s reputation as a destination winery across the globe for oenophiles and gourmands alike. 2014 presented a new challenge for Chef Batey, with a return to Calgary to work alongside Chef Noble once more on a new project in the historic National Hotel. One constant for Batey has been his desire to compete across many different platforms, of most recent note, a Silver Medal at the Canadian Culinary Championships in 2016. 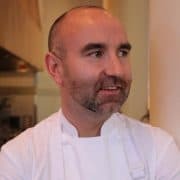 In 2017, Chef Matthew Batey embarked on a new career path as the Corporate Executive Chef for Teatro Group Restaurants. This energetic new challenge will prove to be Batey’s greatest opportunity to date to fully express his vision for fine Canadian cuisine.